Hey lovelies! This is Doria, owner of BeautyPopShop (home of the “Nice Rack” nail polish rack) and primary beauty blogger at Makeup Chic, Literary Geek beauty blog. I know this is a bit of a switch from Set in Lacquer’s gorgeous nail swatches and art, but she was lovely enough to request I write a guest post for you guys and I thought it might be the perfect opportunity to share some of the new Revlon Colorstay Ultimate Suede lipsticks with you. I actually purchased these several weeks ago, but hadn’t had the chance before now to swatch them—now seems like the perfect opportunity! 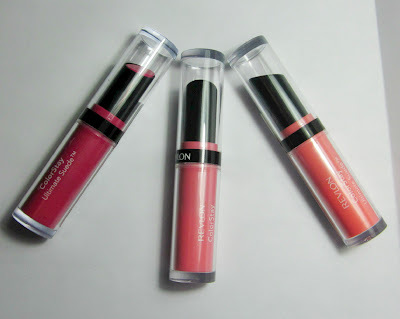 For those of you that aren’t familiar with Revlon’s lip products, they offer a wide variety of lip lines ranging from lipstick to gloss; balm stain pencils to liners. These Colorstay Ultimate Suede lipsticks boast all-day staying power, hydrating Shea butter and Aloe ingredients, and a soft “suede” finish—according to Revlon’s site. Application/Performance: This was incredibly soft and smooth to apply. All of the formulas I tried glided on and had a super light-weight finish. Muse was less pigmented than I would have thought. I’d describe all of these as more of a “wash” of color than opaque coverage. The swatch above shows 2 layers and while coverage is slightly buildable, it is not extremely opaque. The finish is semi-glossy and not what I would consider matte. 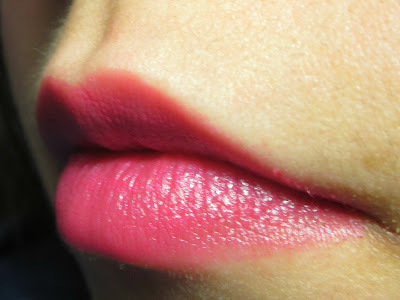 I noticed that after a little bit of wear (under an hour) my lips actually felt a tad tacky. Not lip gloss sticky, but slightly tacky to each other. I didn’t find this formula super drying, though I always wear a lip balm under my lip products. This did not stain my lips and wiped off easily when I was done wearing it, though it left a faint bit of shimmer scattered over my lips. This was the most pigmented of the bunch. Application/Performance: As with Muse, this had a smooth application and a barely-there feel once applied. This provided a slightly shimmery wash of peachy-pink, but was the least opaque of the three. This wore similar to Muse in every other way. Application/Performance: This applied similarly to the other two, but had less buildable coverage than Muse. Similar to Front Row, this had a subtle shimmer to it. Final Thoughts: I’m a bit torn on these. On the one hand I think they are perfect for someone that likes a slightly more subtle lip look or who needs a quick lip fix on the go. 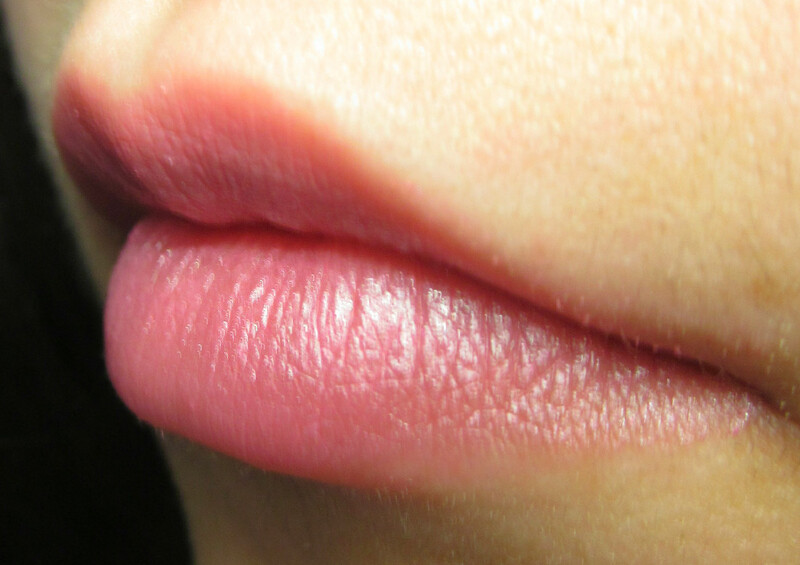 The formula is pleasant to wear and I love that they are light as air on your lips. However, if you’re like me and you prefer opaque, pigmented coverage these are probably not what you’re looking for. I think I’ll probably use these once in a while if I’m out and want something fairly conservative on my lips, but don’t see myself reaching for these constantly. Perhaps my expectations were a bit high going into this review. Compared to my favorite Revlon lippies the Just Bitten Kissable Lip Stain Balm pencils, which I highly recommend and wear constantly in Sweetheart and Lovesick, I’m a teeny bit bummed these didn’t measure up, but I think they’ll suit someone with more conservative lip habits than myself quite well. Note: I never make claims regarding wear as I personally find that most things wear more quickly on me than the average person. I recommend either trying them yourself or consulting Revlon for information regarding their all-day wear claims. Price: These were priced at $9.99 retail at my local Walgreens and CVS. Where to Buy: These seem to be available at most drugstores that carry Revlon products, though the variety of available colors seems to vary greatly from store to store near me. For More Information: You can read additional information on Revlon’s Colorstay Ultimate Suede lipsticks along with other Revlon products on their website HERE. Disclaimer: These were purchased by me. All opinions stated above are based on my personal experience. For more information on these products I recommend contacting Revlon or visiting their website directly.